Editor’s note: A wide-open and critical election year is looming in Idaho in 2018. This is the first of a periodic series of interviews with candidates for state and federal office — with an emphasis on education topics. When Tommy Ahlquist talks about education, he keeps circling back to one word: clarity. Ahlquist says the state needs a clear, agreed-upon definition of student achievement. For the Republican gubernatorial candidate, that definition means students hit fourth-grade reading benchmarks, eighth-grade math benchmarks and graduate high school prepared for their future. Ahlquist, 49, is one of three big-name Republicans vying to succeed retiring Gov. Butch Otter. Unlike his rivals, Lt. Gov. Brad Little and U.S. Rep. Raul Labrador, Ahlquist is a political newcomer. Ahlquist has outraised his two rivals, but has drawn no contributions from state political leaders and has supplemented his campaign with more than $378,000 of his own money. Speaking earlier this month to a room full of school administrators — a skeptical audience when it comes to school vouchers — Ahlquist himself sounded unconvinced. He said he would need to see more details about a voucher system. It was an incomplete answer, campaign adviser Todd Cranney later wrote in an email. He said Ahlquist had neglected to mention his support for vouchers. In Tuesday’s interview, Ahlquist elaborated on the topic. He said he supports a menu of school choice options. He singled out high-achieving charter schools in North Idaho and Central Idaho’s remote Lemhi County. He said he backed vouchers, while acknowledging the political hurdles facing such a system. Idaho’s Constitution prohibits the use of public dollars to support church-owned schools — language that effectively precludes vouchers. But Ahlquist also repeated what he said at the Idaho Association of School Administrators’ meeting in Boise. 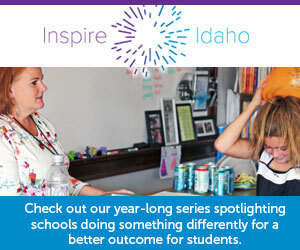 The devil is in the details, he said, and Idaho will not be able to replicate school choice in every rural community. “I think you’re just going to be thoughtful about how you go about it,” he said. Ahlquist’s position on the Idaho Core Standards has also been unclear. On Tuesday, Ahlquist criticized the implementation, saying the process went poorly for his two school-age daughters and their teachers. But the rollout occurred in 2013. If Ahlquist is elected, we would take office in January 2019 — more than five years after the standards took effect. On Tuesday, Ahlquist was noncommittal about what he would do with the standards. He said he is “100 percent behind” strong standards. He also said he’d want to talk to educators before moving from the Smarter Balanced Assessment Consortium test, the online test aligned to the standards. Some educators say the SBAC test is too time-consuming, and yields limited data. But now that the SBAC has been in effect since 2015, Ahlquist says he is hearing from some educators who say the test is finally producing useful data. Ahlquist has pledged to cut $100 million from the state’s budget in his first 100 days in office, perhaps his most controversial campaign promise. Sen. Shawn Keough and Rep. Maxine Bell — the Republican co-chairs of the Legislature’s budget-writing Joint Finance-Appropriations Committee — have criticized Ahlquist’s plan. Bell, R-Jerome, says it would be impossible for Ahlquist to make good on his promise without hurting education. Education programs will receive nearly 63 percent of Idaho’s $3.5 billion 2017-18 general fund budget, with 48 percent of the budget going to K-12. Ahlquist believes the state has money to cover a tax cut. He chides the 2017 Legislature for failing to cut unemployment taxes, a move that wouldn’t have affected the general fund budget that bankrolls education. Unlike Otter, Ahlquist supports repealing the sales tax on groceries, which could cut $80 million from the general fund. Ahlquist has no position on a tax decision that has profoundly affected schools — the 2006 tax shift that cut school property taxes by $260 million, and used a sales tax increase to offset most of the cut. Since the 2006 tax shift, and during the recession, school districts have relied on ever-increasing supplemental property tax levies to make up the difference. The task force represents Otter’s signature moment on K-12 — something he often hails as an unprecedented five-year plan for education. If Ahlquist is elected, the governing style seems sure to change. Ahlquist would like to see his State Board take on more of a strategic role, while the SDE focuses on implementation. Ahlquist says Otter has made some great appointments to the State Board, but the board is so bogged down with minute details that it cannot focus on long-term vision. But Ahlquist appears likely to delegate only so much to State Board appointees — and nothing to task forces. Drawing from his business background, he pledges to take a hands-on approach to an issue that is critical to Idaho’s economic health.